Khaliat Nahal is a fabulous bread which is also very well known as Beehive buns.This bread is baked easily with simple shaping method, yes this bread dough is rolled a small rounded balls. You can call this bread even as Honeycomb bread. However Khaliat Nahal means Bee Hive in Arabic as this bread is baked close to each and other in a round pan to form a honeycomb like pattern. These bread are stuffed usually with cream cheese which is later glazed with honey syrup. However you can make this same bread with sweet stuffings like jam, chocolate chips etc.Since i have already posted a Sweet version of this bread, today am sharing an another savory version of this popular Khaliat Nahal. Take the flour,salt,sugar and melted butter in a bowl, mix it for few minutes. Combine the milk,yeast,sugar in a small bowl and keep for 5minutes. Add this yeast mixture to the flour mixture and knead until you get a smooth,elastic dough. Turn the dough to a work surface. Cut the dough into 2 halves and roll it as a rope, cut each rope into 1inch piece. Take a piece and flatten it out a little, place enough cream cheese for filling in the centre. Bring the sides together,wrap the dough around the filling, pinching it closed at the top. Smoothen into a round ball. Place this in a well greased round cake tin. Repeat the same process with the remaining pieces. 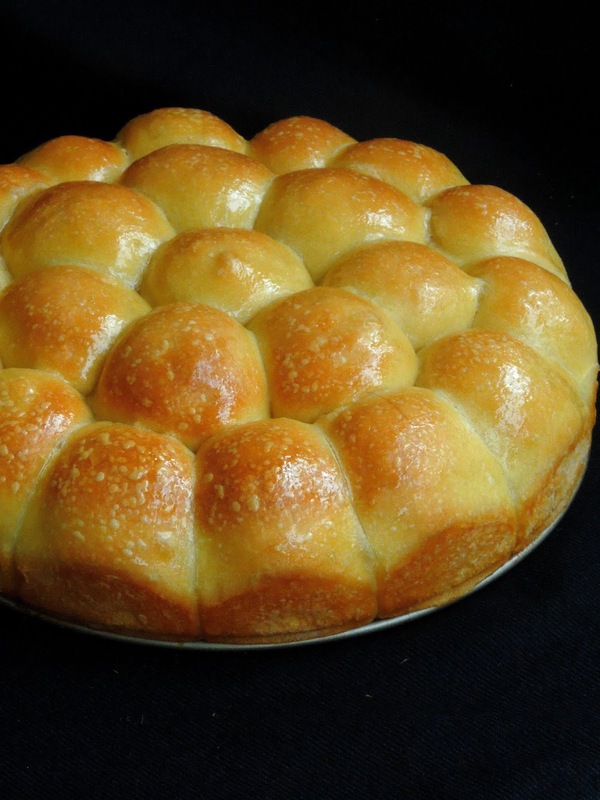 Arrange the filled balls of dough in a concentric cricles. Cover it with a paper towel and let it rise for about an hour. 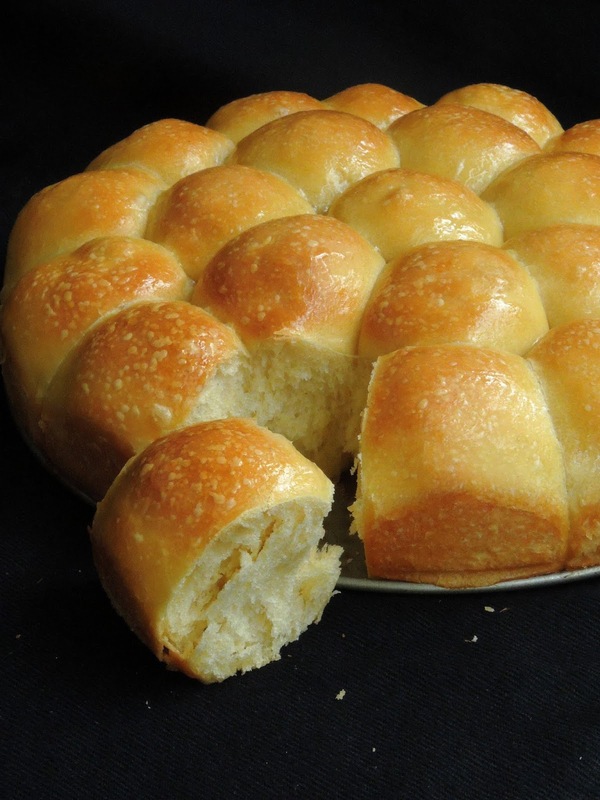 Brush the top with milk and bake the buns for about 20-25minutes until the crust turns golden brown. Meanwhile take the sugar,water and saffron in a pan,bring it to boil,put the flame in simmer and cook until its turns bit thick. Once the buns comes out of the oven, pour the syrup over the top of the buns. If you want your honeycomb buns to be less sweet, just brush the syrup over the top. Let it sit for a while, serve warm. Perfectly baked and the sweet version is a super hit in my famy.Will try this version soon.. This is one of my favorites bread. Your had turned out so good. The glossy bread looks awesome! The cheese must give it a nice flavor. 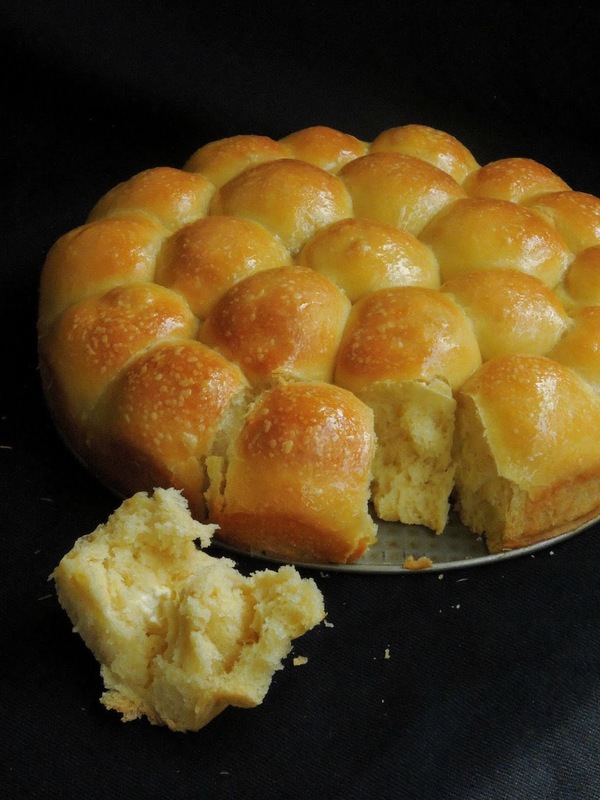 I remember baking these years back which was a sweet bread. Your savoury version looks so beautiful and the crumb is so soft and fluffy. Yummy Priya the whole basket looks sinful. Surprised you don't have all the versions of this yet lol. Bookmarking this for sure. Nice kiwi recipes and a healthy one too because of kiwi, I don't many recipes using a kiwi fruit and I will try this. 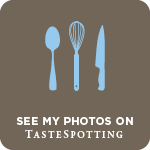 Thanks for sharing a such a good and tasty recipe, keep sharing such new and interesting recipes. Oh my, such soft, fluffy and delicious looking buns Priya. Cream cheese filling sounds absolutely delicious. That's a beautiful honeycomb bread!! love the shine of the perfectly baked bread and cream cheese a favourite in my home..so delish!! That's a beautiful honeycomb bread.. perfectly baked .. cream cheese a favourite in my home.. with sugar syrup it must be delish!! Oh priya, you are tempting me so much with these cute hive of buns!!! i just want to grab few rolls from that pan, so tempting!!! Cream Cheese filling in a bun makes it more soft and enhances the flavour. Looks delicious. Wow this sounds so yum and that glossy finish and the perfectly baked beehive ...simply good. Loved it. The cheese filling must have tasted awesome. 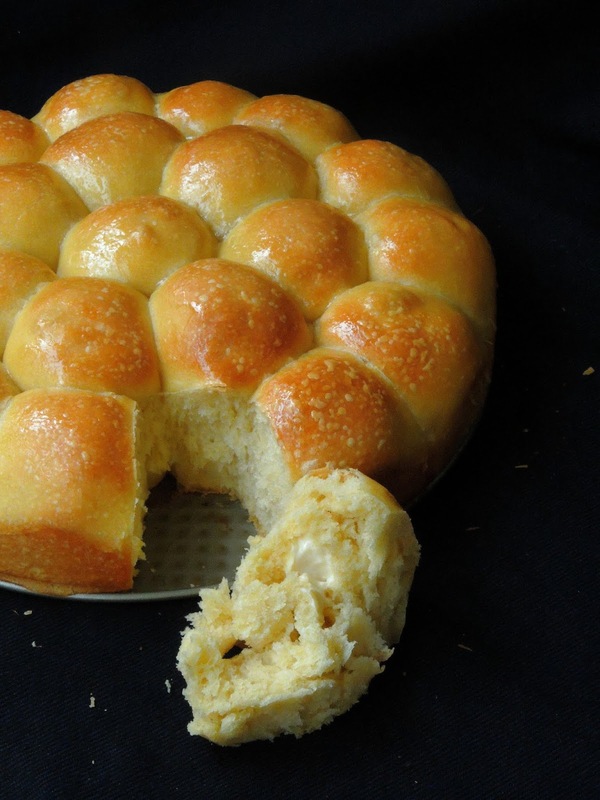 Honey comb buns looks absolutely yummy and soft with cream cheese filling , never tried before. 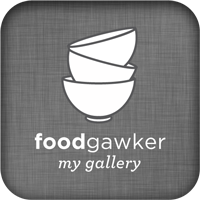 Love the glossy finish on the top.Bookmarked it. Love how awesome it looks!! So cheesy and yum!! These r bakery style perfect 👌👌 I made these too but cudnt take decent pics. Will try your recipe ..
Of all the bread recipes I have discovered from around the world, this is one of my all time faves and I too have posted both sweet and savory versions of this delicious bread! these buns look so perfect Priya. I made this a few years ago and stuffed it with tutti frutti!